After a couple of chilly plants, here is something from warmer regions – Acokanthera. 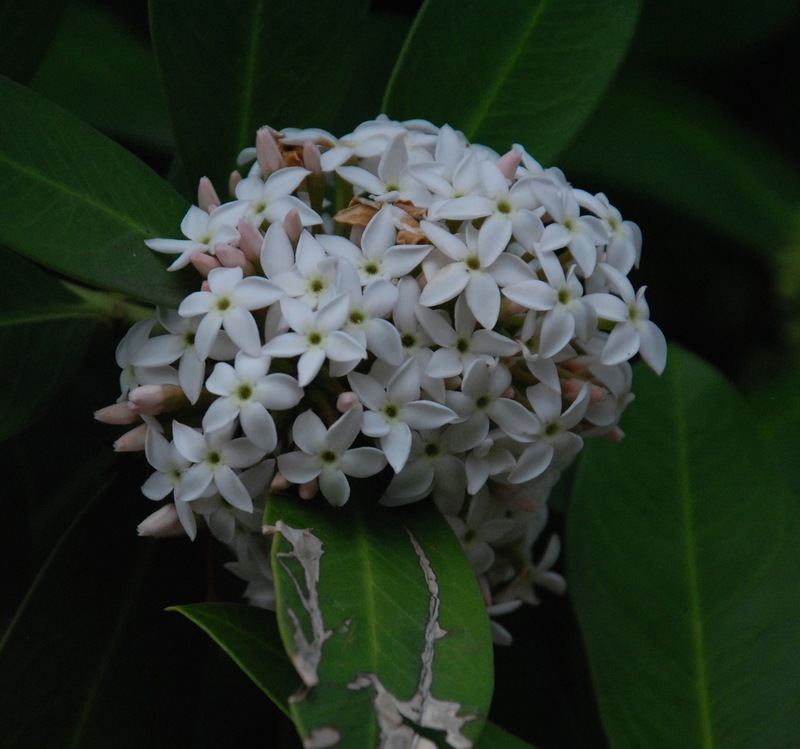 I have only seen it in the Canaries but it is actually native to South Africa and is a shrubby member of the Apocynaceae, the family that gives us plumeria and nerium. As such it is poisonous – very poisonous and the sap was (is) used by bushmen (or bush people) (Khoisan) as a poison on darts used in hunting. Despite this, the large, black fruits are devoured by birds. Apparently the poison is not present in the ripe fruits but the nectar can contain it and nectar-feeding birds have been poisoned by it – maybe something to consider where there are humming birds. It is an evergreen shrub that, despite the poisonous qualities, is fairly widely planted as an ornamental. 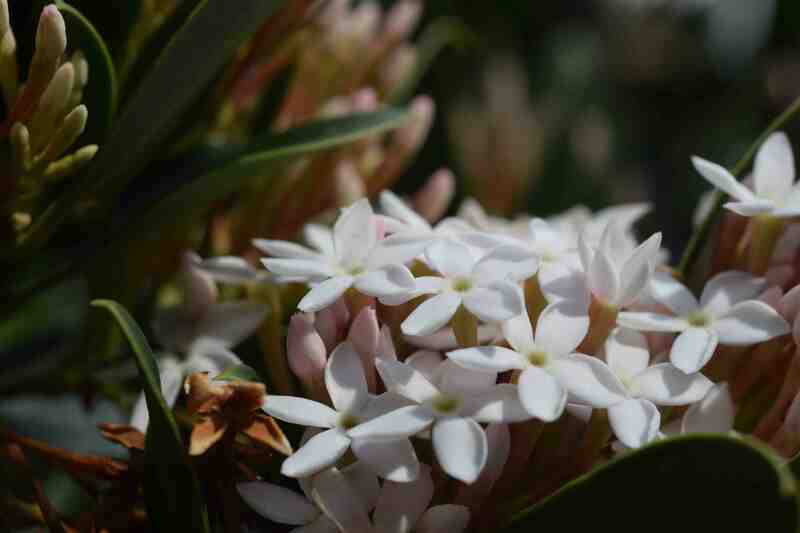 This is because it is an attractive evergreen that is tolerant of drought and, in winter and early spring, produces showy clusters of white flowers from pink buds that smell delicious. I first saw it in Tenerife and was puzzled by it. I could not quite work out what it was and lots of ideas came and went until I finally worked out what it was. 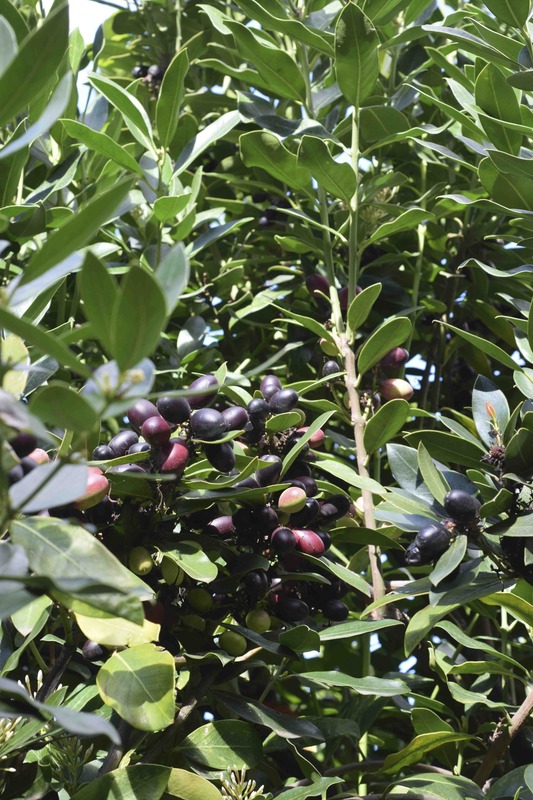 The fruits seem to take a year to mature and a tree usually has black fruits and fragrant flowers at the same time. The name comes from acis – meaning sharp, referring to the sharp stamens in the flowers. thats lovely ahhhh warm sunshine sounds good to me.